After waiting for more than two years for the right script, young hero Sushanth, who is Akkineni Nagarjuna’s nephew, is finally back on the shooting floors. The actor is currently shooting for an out and out entertainer in G Nageswara Reddy’s direction. In the film, Sushanth will romance a Punjabi actress named Sonam Bajwa, who was last seen in Vaibhav’s Pandavullo Okadu. Sonam first made her acting debut with the Punjabi film, Best Of Luck. She then went on to act in films like Punjab 1984 and Sardaarji and finally bagged a prestigious offer in director Shankar’s production house with Kappal. 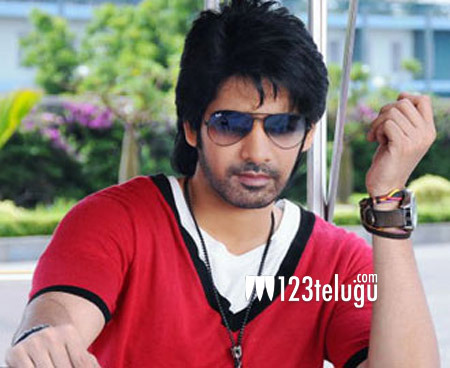 Sushanth’s film is yet to be titled and as per the reports, the film is shaping up well. The film is being produced by Nagasusheela and Chintalapudi Srinivasa Rao.